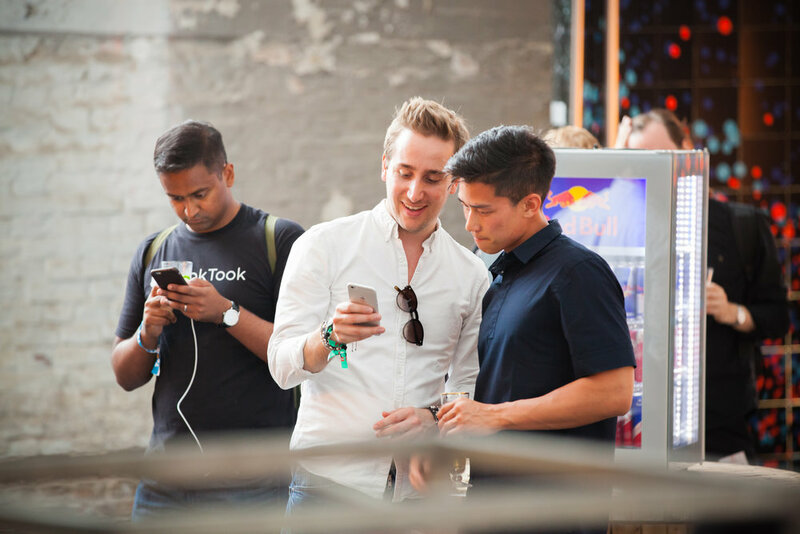 All the info about TOA18 Startup Alley on 20 June. Your exhibition will take place on 20 June during TOA Conference at Funkhaus. 1 x 1 sqm table counter on 20 June (incl. counter-table, power, wifi, 1 x aligned branding visual, inclusion in the exhibitor list on the TOA website) >> See Your Exhibition. 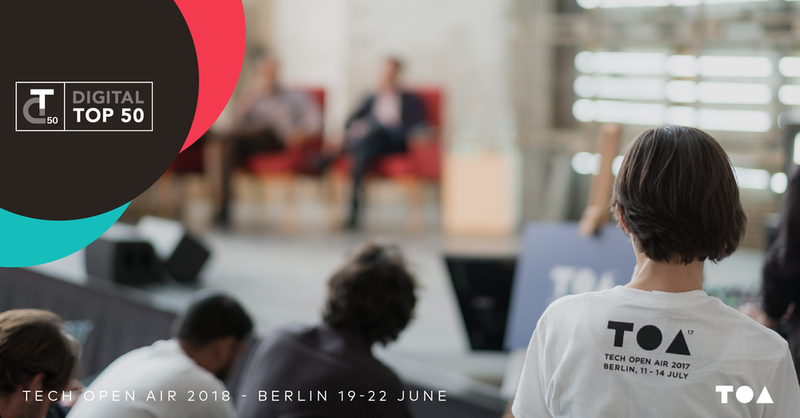 2 x Startup tickets that give you access to TOA Festival which is composed out of the Conference on 20-21 June at Funkhaus and Satellites all over Berlin on 19-22 June, and most importantly, ability to schedule meetings with Investors and Corporates via TOA app and book tables at a designated meeting area. 1 x job post on TOA's official recruiting app MeetFrank. Till 4 June 20:00:00 CEST, sign TOA Exhibitor Guidelines. TOA team will send a HelloSign link to your email address with which you registered for Startup Alley. Before TOA (we suggest 1-2 weeks prior), fill out the recruitment form here and MeetFrank team will be in touch with you to set up your job ad on our official recruitment app. Till 8 June 10:00:00 CEST book here your food vouchers and RFID scan. More info >> "YOUR EXHIBITION" >> "EXTRA SERVICES"
Several days before TOA, you will get a link to your email to download TOA app to follow and customize conference program, schedule meetings. Don't forget that you have to register 2 people names on our ticketing platform Tito either when you checked-out by booking Startup Alley package, or by adding the name to unassigned ticket using your unique Order Ref Code later on. You can pick up your Startup Wristbands at the Check-in of the Conference. Arrive at 08:00 on 20 June to prepare your exhibition space. If you ordered, pick up your food vouchers and RFID scanner from Infopoint in Haus of Tech (look for Michelle) at 08:00-10:00. Return your RFID scanner at Infopoint to Michelle at 18:00-19:00. Startup Alley is part of 4,000 sqm Haus of Tech Exhibition area (see map here). Company's Name Tag on the Exhibitor Tag produced by TOA production (See sketch below). A locked storage place on the backside of the counter. Electricity at the volume of 0.5kWh. 1 x 3-power socket, Schuko standard. Inclusion in the Exhibitors list on TOA's website and app. All materials that uses inside the hall have to be non-flammable and meet German standards of non-flammability (DIN 4102), minimum to the rating of B1. DIN 4102 B1 certificates for all items or proof of use of liquid must be brought by the exhibitors. to use roll-ups, pop-ups, PVC banners or other standard trade show displays. Bring small but cool swag...or wear a hot naked man BBQ apron! bring electrical equipment like popcorn, smoothie, coffee, cocktail etc machines. It's a 1sqm table counter not a customized booth, so you're not allowed to do Happy Hours, fireworks etc there. no pets are allowed in the exhibition hall except guide dogs, as stated in the Technical Guidelines point 12 section f.
use stickers, paint or anything that cannot be removed from the counter by 20:00:00 on 20 June due to new exhibitors on 21 June. NO PARKING is available in front of Funkhaus, so you'd need to find a parking spot in the neighbourhood on your own. Your exhibition counter has to be left without any belongings, marketing materials by 20:00:00 on 20 June. Return your RFID scanner at Infopoint to Michelle at 18:00-19:00 on 20 June. Leave the key of counter's locker in the lock. Take away ALL THE TRASH from your counter. There'll be garbage disposal on the floor. FOOD VOUCHERS. TOA will have multiple food trucks on site, varying from healthy tropical to real german. You can pre-order food vouchers now for €10/meal. This voucher is available for all food worth up 'till €10 at food truck (NOT pizzeria and Milchbar). This way it's easy for you and your staff, sponsors and partners to enjoy your breakfast/lunch/diner. They are valuable for both 20th and 21th of june. You can use each food voucher at one food truck per time. You will receive your vouchers at TOA info point on the morning of your exhibition. Go there to pick it up from 8:00 to 10:00. RFID SCAN. 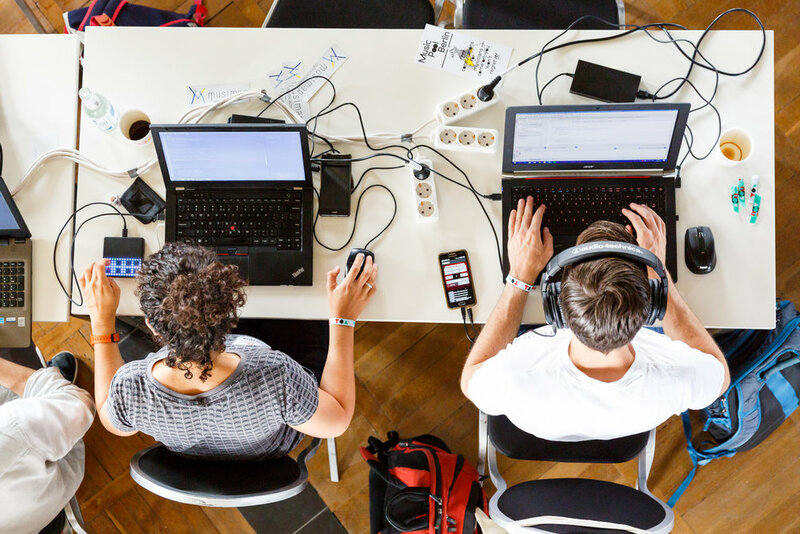 It's the device that allows scanning the visitors' wristband, getting needed information such as name, email, job position, age & gender, and creates a complete excel sheet with all the data after the event. You can rent this device from us for €75 / day. We highly recommend! You can pick up your RFID device from 8:00 till 10:00 at the info point. Between 18:00 till 19:00 you can hand it in again there. Till 8 June 10:00:00 CEST book here your food vouchers and RFID scan. TOA Conference and DT50 takes places at Funkhaus (Nalepastrasse 18, 12459 Berlin). There's no parking available, we highly recommend to use public or sharing transport (Coup, Emmy, Ofo, Drivy). 25 min taxi and 35 min train ride from Alexanderplatz. 7 minutes taxi ride from Ostkreuz. 20 minutes M21 tram ride from Frankfurter Tor. In case you are traveling from abroad, you can use the services of our travel partner TravelPerk. Funkhaus is open to the public on 20-21 June at 09:00-20:00. Conference takes place on 20-21 June at 10:00-18:00. Food can be bought at the food court of the Conference area. Cash and card payments accepted, ATM at the gas station next to Funkhaus. See the Conference location map here. Tickets: as part of Startup Alley package you have 2 Startup tickets and you have to register 2 people names on our ticketing platform Tito either when you check-out, or by adding the name to unassigned ticket using your unique Order Ref Code. Wristbands can be picked up at the registration desk on the day of the Conference (20-21 June). Wristbands will give you access to the designated areas and must be worn at all times. In case you don't live in Germany, make sure to have an adapter for the German power outlets. An immersive experience overflowing with DJs, art installations, live concerts and different corners ready to be explored. On June 20th, as TOA Conference Day 1 draws to a close, get ready for a dramatic transformation. From 6PM onwards, a wave of disruptive energy will wash over Funkhaus, as it is recast as an experimental, tech playground for TOAxNight. Surreal sound installations, mind-expanding interactive art exhibits, daring live acts, curated DJ sets, and plenty of secret surprise guests. You won’t soon forget this one-of-a-kind evening that’s been tailored by the veterans of the Berlin party scene specifically to our community. Come with friends or meet mysterious strangers and be ready for the unexpected. Stay tuned for artist lineup and further announcements. Want free entry & perks for TOAxNight? Join the Nike & KSP TOA Run! Plus, Keller Sports is offering an official KSP x TOA Nike Shirt, free entry to the first 100 runners and free drinks at the KSP x TOA Night to anyone who completes the challenge kicking off on June 14th.